To continue preparing for the Tough Mudder event, I am still doing CrossFit during the week. 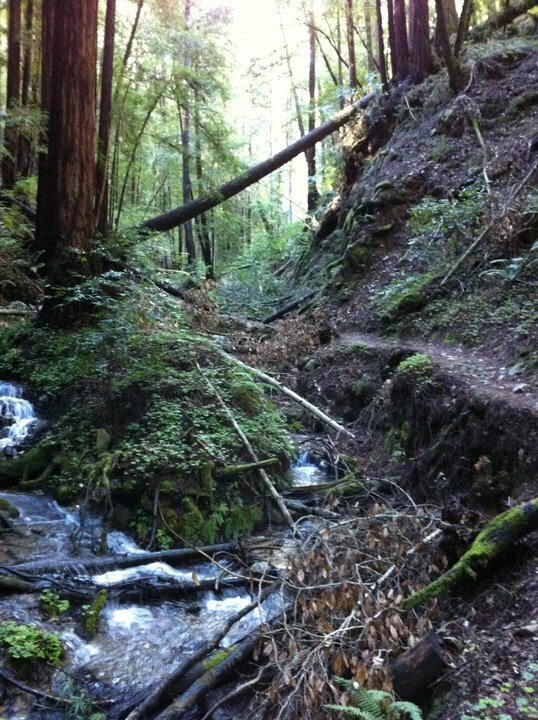 But I’ve also added a trail run each weekend to keep improving my endurance and add a bit more cardio work. I ran again in my Vibram FiveFingers to see how they feel on the rocky trail and what it feels like to keep running in cold, wet feet. It was ok. The FiveFingers certainly just let the water come in and your feet are instantly wet and cold. But I found that my feet warmed up as I kept running, so it was tolerable. My feet obviously still need to toughen up more. I felt all of the sharp stones on the trail (it was a really rocky trail). But, the barefoot running style ensures that you are landing lightly on your forefoot and lifting your feet quickly back off the ground again. So, hitting a rock wasn’t nearly as painful as it would be when you stride out and land harder on your heels. 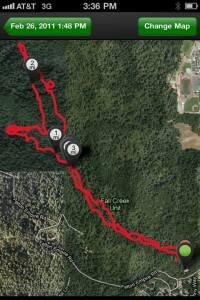 There are several steep parts of the trail and I ended up climbing about 767 feet in elevation throughout the run. Sprinting up the steep parts of the trail and scrambling up the rocks was challenging last year. No longer. Today it felt really good. Quite easy. I guess all of the CrossFit strength training and WODs are paying off! Here are some photos from the run. I find trail running to be so much easier than running on streets. A big part of it is the scenery. 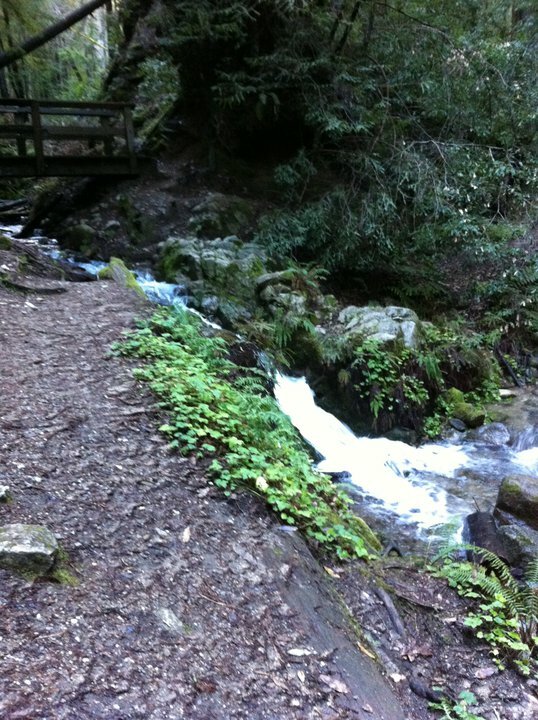 I love running through the woods near a stream like this. It is so enjoyable that I actually find that 1-2 hours can go by quickly. I do have an elliptical that I can use for indoor cardio, but that is a poor substitute for fresh air and the beauty of being outdoors. Exercising outdoors like this is called “Green Exercise” and it has a tremendous positive effect on both your physical and mental health.